Frank Ocean's Blonde album arrived late Saturday along with a 360-page magazine, Boys Don't Cry. We've already seen contributions from Kanye West and Tyler, the Creator, but now people have highlighted a list of some of Frank's favorite songs. According to Genius, there's a page featuring the Endless artist's favorite movies (scroll down! 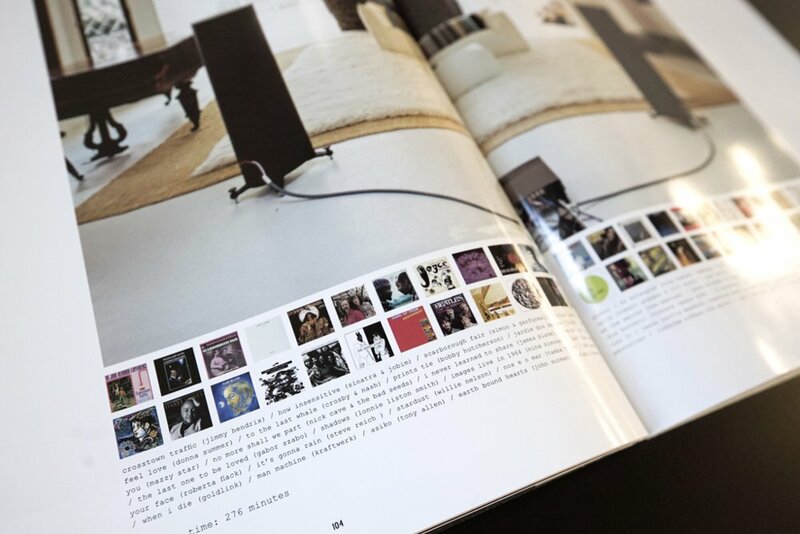 ); "On the next page, he lists off a number of his favorite songs underneath a photo from the living room of Rick Rubin’s Malibu home." A Genius commenter notes that several of the songs listed in the mag aren't on Spotify; for the independent-minded completists, those ones are "When U Were Mine" by Prince, "The Garden of Linmiri" by Caustic Window, "Portrait of Tracy" by Jaco Pastorius and "Home" by Blonde guest vocalist Kim Burrell. Meanwhile, a trusty tweeter has shared the page featuring Frank's favorite movies, all 207.23 hours worth. Titles include There Will Be Blood, True Romance, The Shining, Pulp Fiction, Nosferatu, American Beauty, Citizen Kane, The Big Lebowski, both Scarfaces, Memento, Rushmore, Jackie Brown, Alien, Full Metal Jacket, Raging Bull, Eraserhead and Taxi Driver. It's interesting to comb through considering Frank's prodigious gifts for narrative, cinematic storytelling through song.